‘Cloud-computing’. ‘Cloud business systems’. What are they and what can they do for my small business? 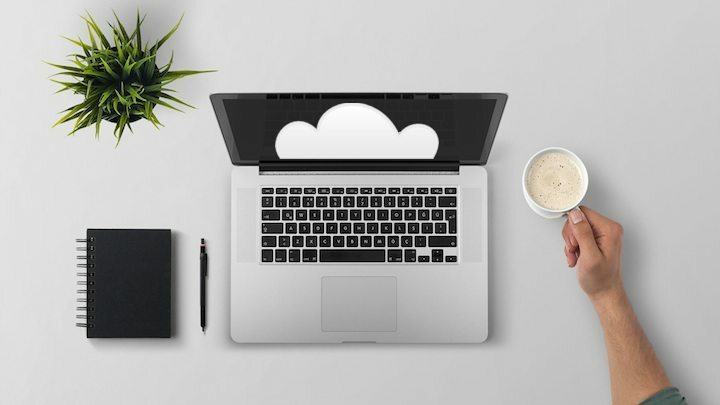 Simply put cloud-based systems are those that can be accessed via the web from anywhere, anytime – this means you could potentially run your small business from anywhere, anytime. Not only that, cloud based systems can provide significant time and money savings by cutting down on data entry, reducing IT overheads, supporting scalability and streamlining processes. The beauty of cloud-based business systems is that many of them integrate with other cloud-based systems – that is, they ‘talk to each other’. There is a lot of choice out there when it comes to the cloud, so here are our top 6 picks for cloud-based systems that can make your business simpler and smarter. Xero is Australia’s leading online small business accounting software. Automatic software updates with no charge. NBC is one of the top five Xero Gold partners in Brisbane. Receipt Bank is Xero’s most popular add-on to automate your accounts payable. It automatically extracts the key data from your bills, invoices and receipts then publishes this information directly into Xero (along with the attached source document). Converts receipt and invoices into data you and your company can use. Automatic data extraction – including the name of the supplier, the date, the invoice number, the currency, tax, the total amount and even more! Give your suppliers your unique Receipt Bank email address and their invoices will flow straight into Xero. Choose from Ezidebit’s comprehensive suite of services including direct debit, BPAY and ecommerce. Set and forget – you can set and forget a payment schedule resting assured bills will be paid on time, every time. Office 365 means you can access the latest Office products such as Word, Excel, and PowerPoint, from anywhere, anytime and on a range of devices. Whether you’re working in your office or on the go, you get a familiar, top-of-the-line set of productivity tools and always the latest versions of office applications. It will let you create, edit, and share from your PC/Mac or your iOS, Android™, or Windows device with anyone in real time. SuiteFiles is a file management interface designed for small to medium businesses. With Office 365 as your foundation, SuiteFiles provides everything you need to get productive quickly with your cloud files. Automatically create a shared task in your SuiteFiles Outbox where you can comment and mark documents as done. Integrated with Xero – easily share files with Xero contacts, or automatically prepopulate any of your template files with data straight out of Xero client information. Track and manage tasks and projects across your team(s) using Tasks In A Box. Work Together – tasks, discussions and documents all live in one place so you always know what everyone’s working on. Track Progress – follow up on any project without scheduling a status meeting or sending an email. Hit Deadlines – never miss a deadline again. Set priorities, assign responsibilities, and nail your next goal. Assign tasks and follow each other’s progress. Group your tasks any way you want for a clear overview. Our Cloud IT gurus can advise on any of the above systems but can also identify tailored solutions, integration & ongoing support for your business. Whether you need a system for Invoicing and Jobs, Inventory, Time tracking, Point of Sale, eCommerce, Customer Relationship Management or something else, they will work come up with the most effective solution for you.